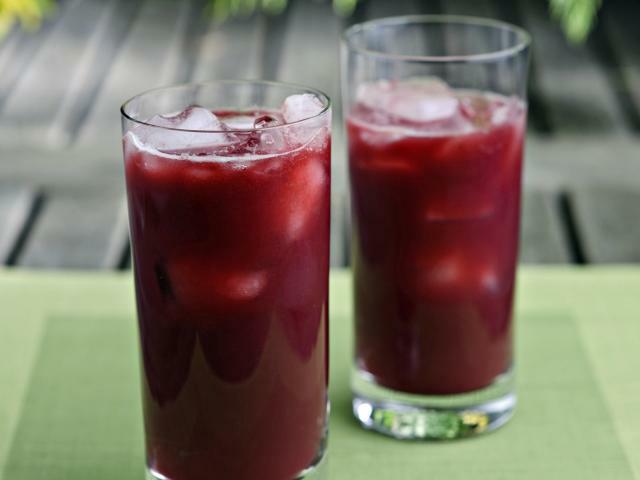 Beetroot and Pomegranate are rich in anti oxidants and also aids in blood pressure reduction. You can easily enjoy this cool, healthy and refreshing juice as a evening drink or an after school snack for kids. Ingredients Beetroot – 1 medium sized Lemon juice – 1 tbsp Pomegranate – 1 Sugar/ Honey – 2-3 tbsp … Continue reading "Beetroot and Pomegranate Juice"